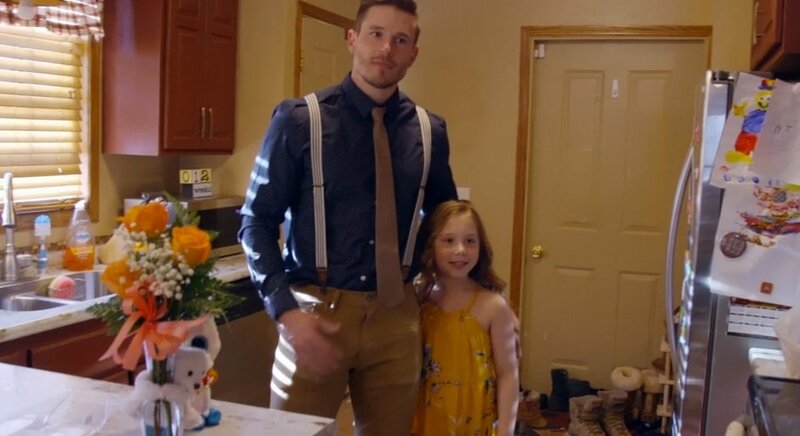 On last night’s Teen Mom 2, we had a daddy-daughter dance, mother-son therapy and plenty of hook-up confessions! Briana DeJesus: Briana kicked off TM2 this week so if it’s good enough for the show, then its good enough for us. Briana is not getting a full tummy tuck. She tells her mom ‘she did her research’. I SHOULD HOPE SO. If you are going to have body altering plastic surgery (before all the eyes of Snapchat no less), I should hope you do your research. Briana also says she has cut Javi out and since he went on Kail’s podcast it was easy. Later on, as she drives to work Briana calls Shirley to talk about the surgery and how Dre is going to care for them. Javi apparently found out and is upset about this. But if they aren’t together anymore I am confused as to why this is an issue? After work, Briana heads home, where Devoin has decided to come to play with Nova for a while. He is going to stay at the apartment when Briana has her surgery to help take care of Nova. Eventually, we get to the point where Briana is actually prepping to leave and walk out the door to drive to Miami for her surgery. Briana then complains to Shirley about her mom asking Devoin to stay and help with Nova. I’m confused, haven’t we heard for years how lacking Devoin is in stepping up and caring for his child? Isn’t this what you’ve been wanting him to do? Also, why do you care when you won’t be there to deal with him or even see him? We learn that Briana is fighting with Javi about coming to Miami and that Shirley is having surgery first. As we fade into the next day, courtesy of MTV editing, Javi shows up and we see the captions and hear the audio of Briana telling him off. Chelsea DeBoer: Chelsea takes Aubree to gymnastics. Other Chelsey comes to the house to talk about the new baby and the upcoming father-daughter dance. This is the first year without any uncertainty since Adam isn’t even allowed to attend because of the court order. Cole gets a haircut and flowers to prep for the dance. Chelsea curls Aubree’s hair and takes pictures of them before they go. Personally, I have a problem with seeing a dog and pig dancing in the graphics since we don’t get to see the animals anymore. Why don’t we get to see the dogs and Pete anymore? I miss them. Heck, we were there to watch them pick Pete up from the airport, now we don’t even know what he’s up to? Let’s just take David’s spare contract and give it to Chelsea’s animals! In all reality and seriousness, it was great to see Cole taking Aubree to the dance. He seems very willing to fill that void for her and provide a good example in her life. Leah Messer: Leah and Jeremy Calvert are doing Addie’s birthday party together for the first time since the divorce. Jeremy deems the party the best birth control in the world. Addie wore a long dress, which was cute, but seems like strange attire for a party involving trampoline jumping? I’m going to guess she either changed between jumping and cake or really wanted to wear it so they just went along with it. Leah and Jeremy make some time to flirt and Jeremy then says he is leaving for work, which is a really good reminder of why they got divorced in the first place. Kailyn Lowry: Kail and Javi are getting along again so we see them at martial arts together and then later Kail goes to his house to watch Lincoln while Javi works out. Doesn’t she have two other kids? Why wouldn’t he drop Lincoln at her house to watch and then go work out? It seemed to offer more flirting time though so I guess, whatever works. Later, Kail says she has to go to Atlanta to record her podcast. She calls Leah to talk about her guest appearance. She also invites Leah rather awkwardly to go to Hawaii. Leah agrees (almost as if she has no scheduling issues that could make such a trip difficult) even before clarifying that it is a girl’s trip without kids. Clearly, this was discussed and agreed before the staged phone call. The rest of the segments combine Leah and Kail as they meet at the hotel and then go out to dinner. Leah seems really quiet at first and their relationship seems awkward. Eventually, she warms up and actually starts talking and they discuss the podcast and the relationships they have with their ex-husbands. 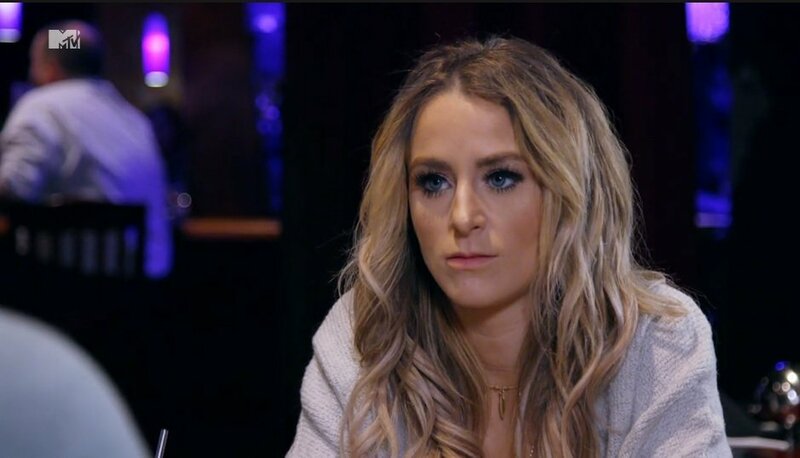 Leah admits to hooking up with Jeremy. Kail says she and Javi hooked up too (yes that’s right if you are paying attention to the gossip she has basically said Javi was hooking up with her, Briana, and given the timing of the new girl’s pregnancy, his new baby mama all around the same time). Kail declares herself self-sufficient and before going to a commercial break MTV gives us audio of a buzzing sound – just in case there was any ambiguity. Prior to the podcast, they all get their hair and makeup done. Jeremy calls in during the show and Leah claims they are not getting back together. Kail jokes about hooking up with Javi and having another kid. 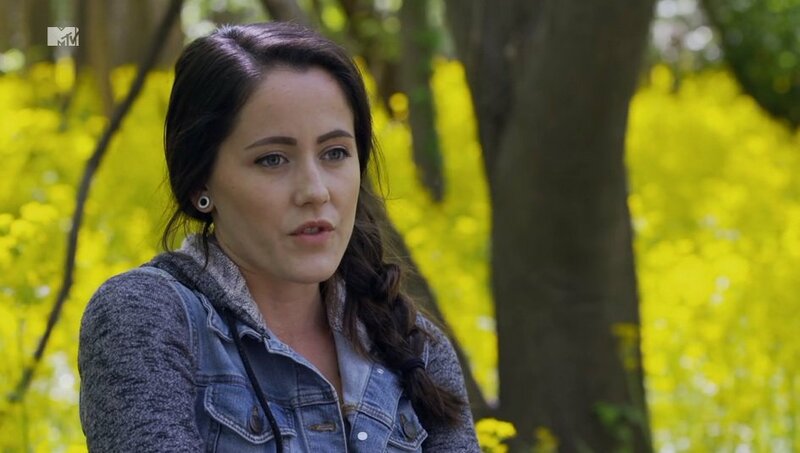 Jenelle Eason: We see Jenelle’s brother Colin for the first time in MTV history. Barbara says it takes Jace some time to adjust after coming back from Jenelle and David’s house and he likes having Colin to hang around with. Barb says she doesn’t know Jenelle anymore. The conversation seemed very strange and strained. Over in swampville, Jenelle and Jamie walk around ‘The Land’ (presumably because David was at the house and there can be no filming with him anymore). Jenelle is excited because Barb has said that she can take Jace to therapy alone. Again, the point is made that Jace can decide where he goes and who he goes with at age 10. After they get done with therapy there is an odd exchange about the NRA in the car. Then they go out to lunch and Jenelle orders water for herself, and a virgin strawberry daiquiri AND a coke for Jace. That seems like a lot of sugar and caffeine. At any rate, I had some mixed emotions. It was heartwarming to see her spending quality time with just Jace and actually look him in the eye and focus on just him. I don’t think we’ve seen her do that for years. But I really found myself angry at her that she hasn’t done that for years. She chooses to wrap her life in such chaos that she doesn’t spend this kind of one-on-one quality time with him and she has chosen to have so many boyfriends and fiancés and more kids rather than to focus on getting Jace back with her full-time. Spending this kind of time with him and focusing on him is what he has needed his entire life. TELL US – AM I THE ONLY ONE GROSSED OUT BY HOW MANY PEOPLE JAVI IS SLEEPING WITH IN SUCH A SHORT SPAN OF TIME? WILL JENELLE AND BABS EVER WORK THINGS OUT?